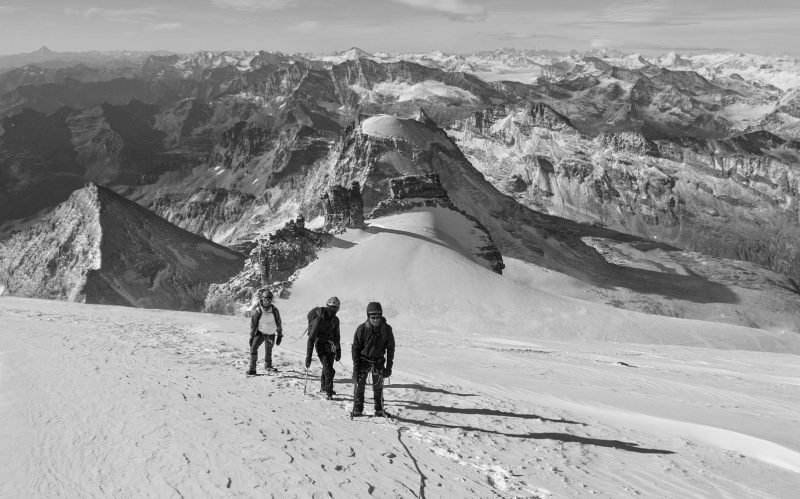 There are some alpinists who consider summer to be the only ‘off-season’ period for alpine mountaineering. 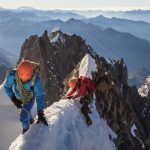 It is in winter, spring and autumn that the combination of snow, ice, low temperatures and quiet mountains give the winter alpinist that spark of adventure, always tempered by the tougher mountain conditions and greater commitment. 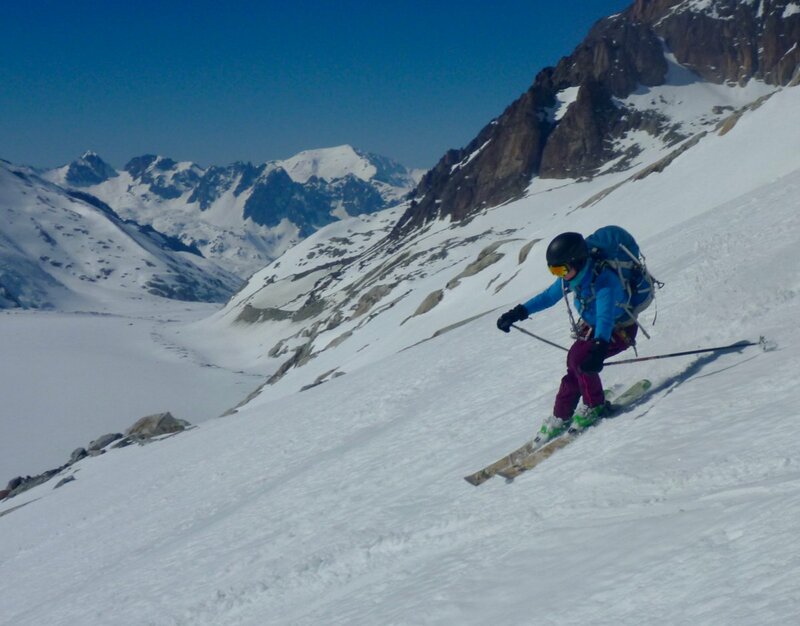 The easier mixed and rocky ridges of high summer are transformed in to bigger challenges in their winter garb and often just being out on the hill is both a privilege and challenge in itself. 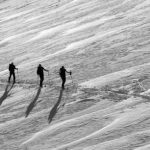 For those of suitable experience, fitness and determination and seeking a bigger challenge there are a fine series of North Faces ranging in size and difficulty to cater for most Winter Alpinists. 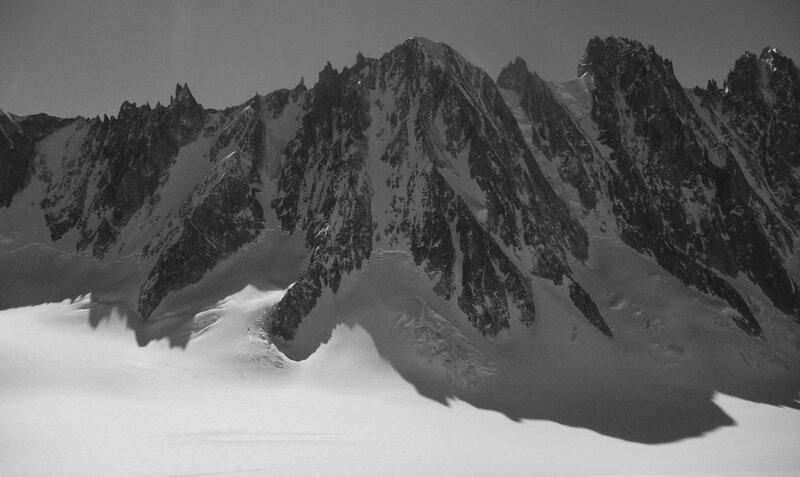 From the Tete Blanche and Tour Ronde to the Chardonnet, Aiguille du Midi, Les Droites and many more. 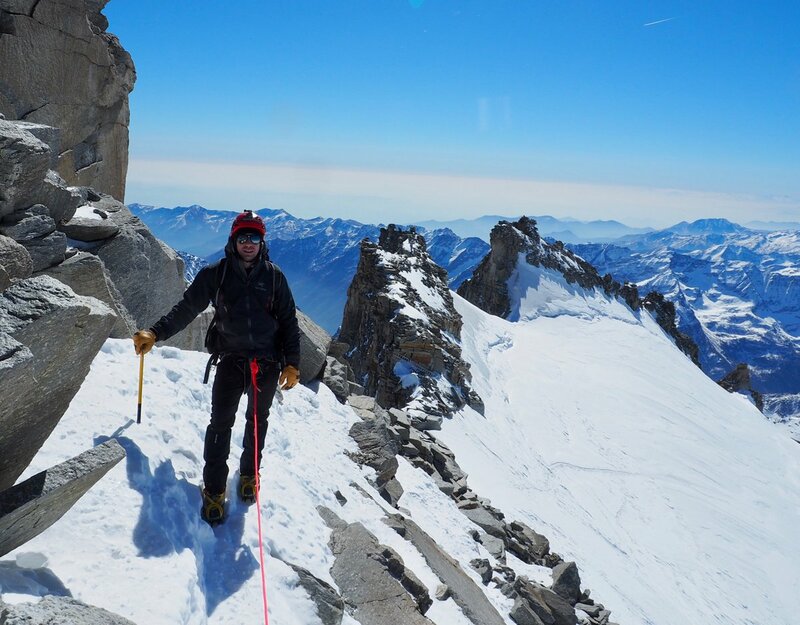 These North Faces give tough mountaineering experiences that are only suited to those prepared to embrace the concept that winter alpine mountaineering is hard work and not always ‘fun’ at the time! 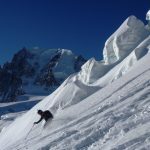 Fresh snow in winter takes a long time to consolidate and where a glacial approach in summer is typically associated with crampons crunching on a frozen glacier, in winter it is more likely to be wading through thigh deep soft snow! 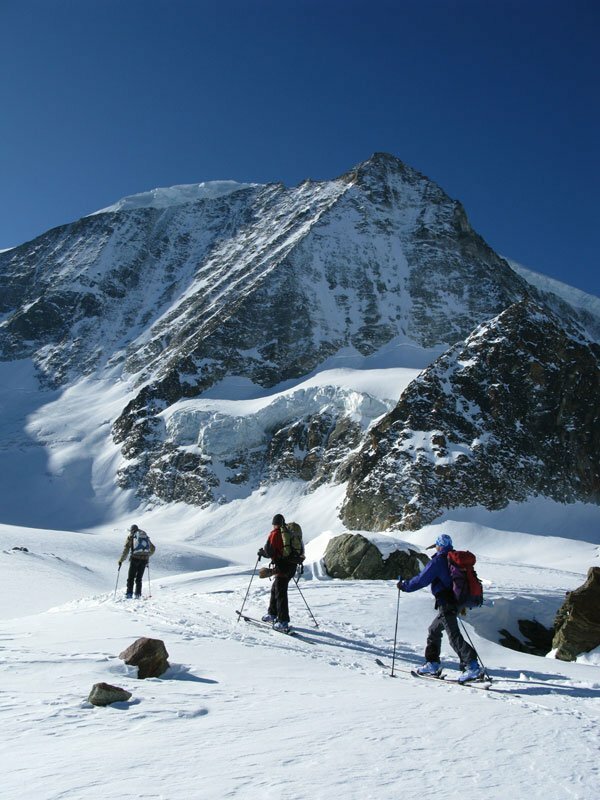 This means that the mountaineer who can ski is likely to profit most from their time in the winter alpine environment. 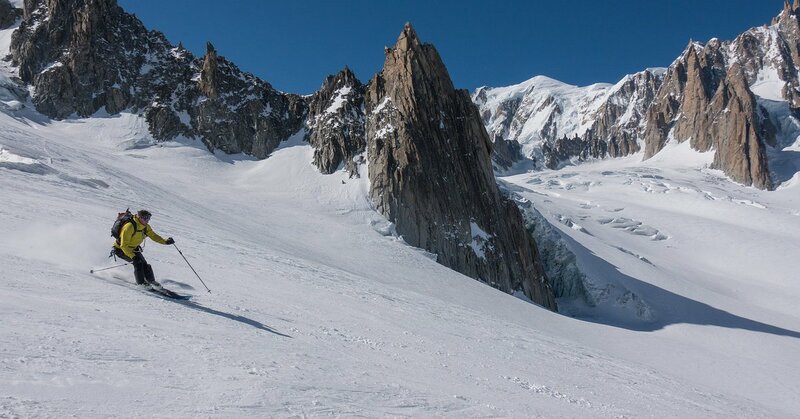 By using the big 3 lifts of the Mont Blanc massif (Aiguille du Midi from Chamonix, Grands Montets fromn Argentiere and Hellbroner from Courmayeur) rapid access to 3300m+ is gained and, in good conditions and travelling on skis, some of the classic high Chamonix Goulottes can be climbed and the ski descent to the valley completed on the same day. 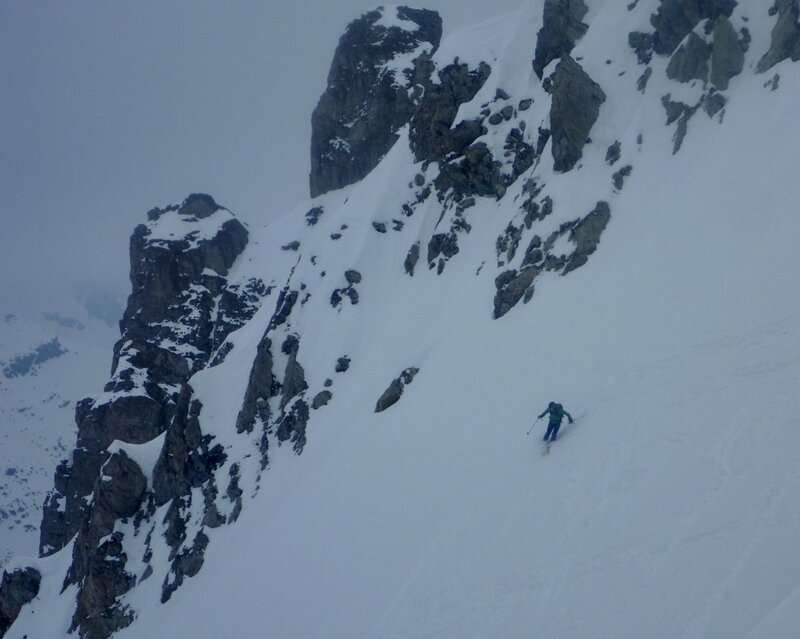 For those wanting to attempt the bigger faces or to spend more time up high in the magical winter alpine environment an overnight stay can be made in one of the various ‘winter rooms’ of the high mountain huts. 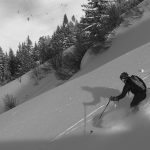 For those who can’t ski or don’t want to carry skis over a climb, snow shoes provide the next best option and the greater times involved meant that an overnight in a mountain hut winter room is likely to be involved. 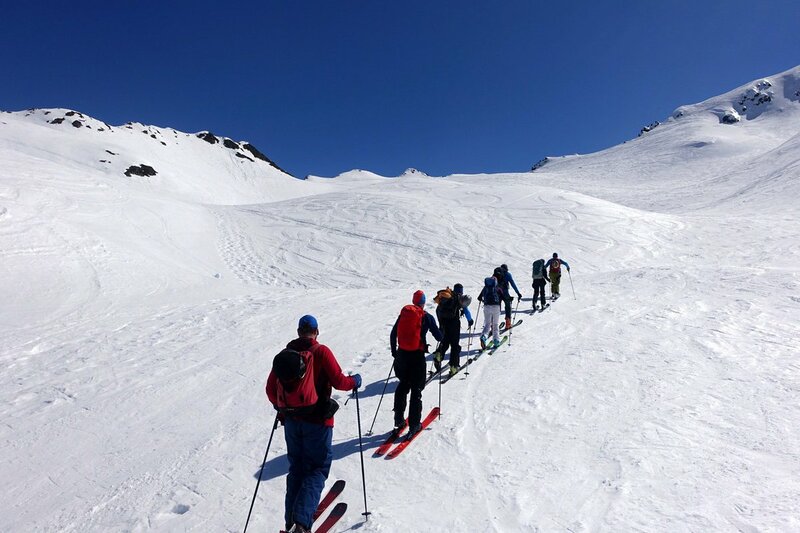 This can be a fine experience in itself and give an insight in to the winter mountains outwith the times of the skiers and day visitors using the lifts. 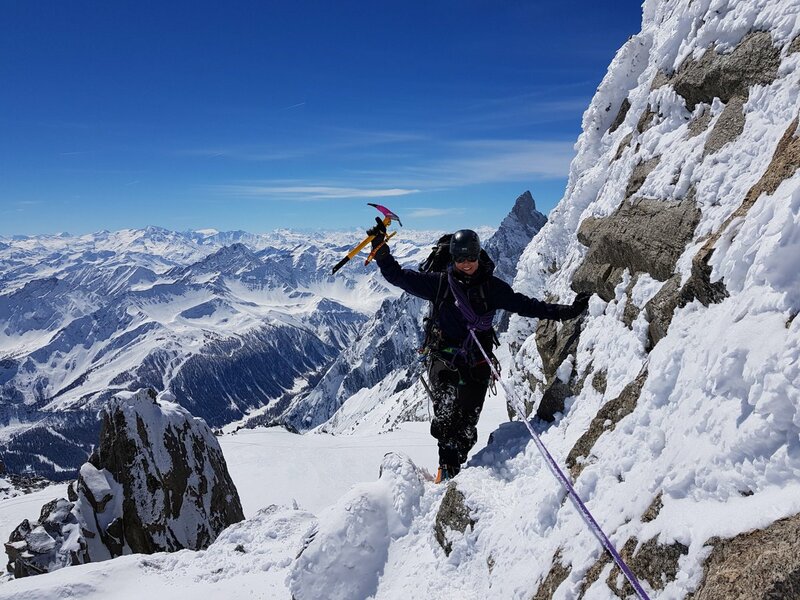 As with all our courses there is a balance to be struck between ‘just’ going climbing and enjoying some brilliant routes and adding a more structured training element to develop your skills as a winter alpinist. 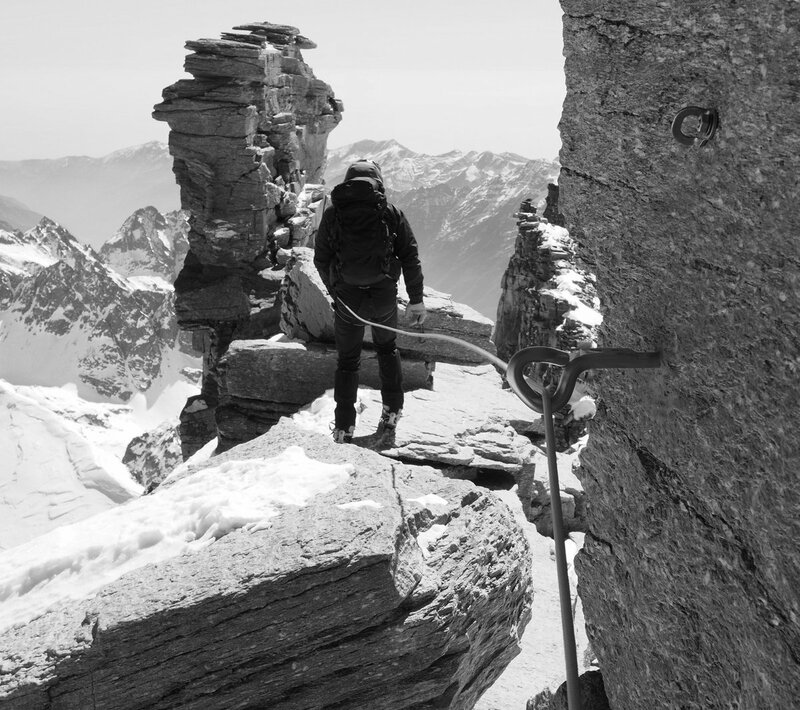 This balance is directed by your aspirations and we provide a bespoke course accordingly. 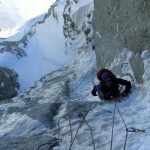 Please check out some of the suggested suitable winter / spring / autumn climbs below and the various options for training topics to be covered. 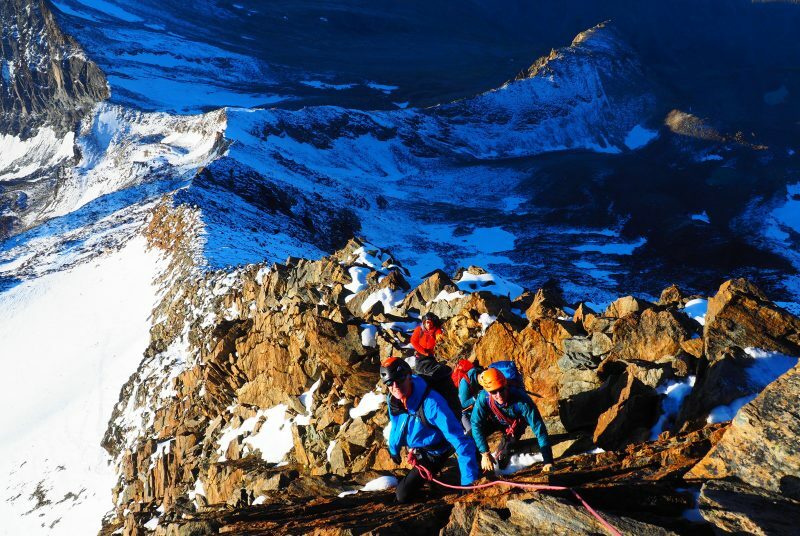 Remember that the best training for going climbing….is going climbing! 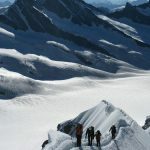 Winter alpine mountaineering is not for the faint hearted and you should be fully aware before booking that every aspect of it is both physically and mentally demanding. 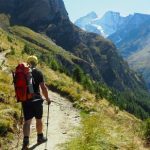 Days can be up to 12 hours, or longer on a big North Face, and you must be prepared for this by being both very fit and determined to embrace the high mountain environment. 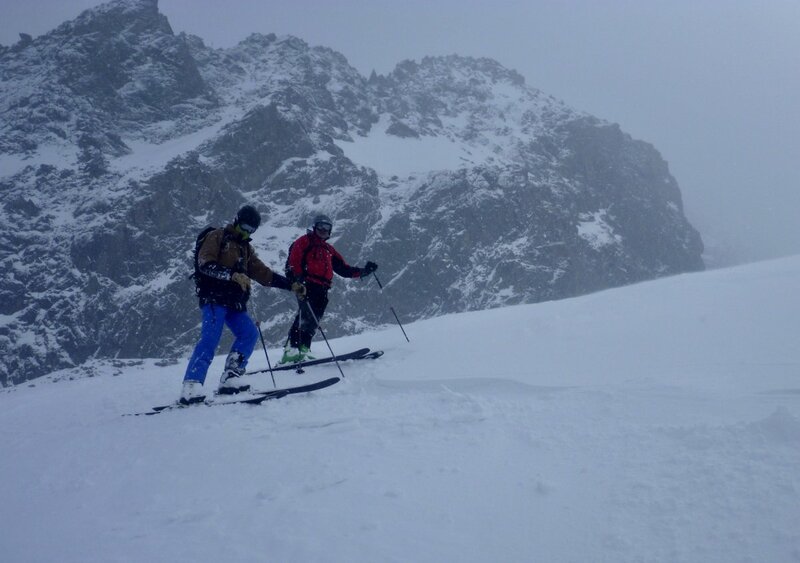 You should also be aware that this winter / spring / autumn alpine environment contains hazards which are sometimes beyond the control of your Guide and be prepared to accept the risks associated with travel in crevassed and avalanche prone terrain and occassionaly threatened by ice / serac fall from above. 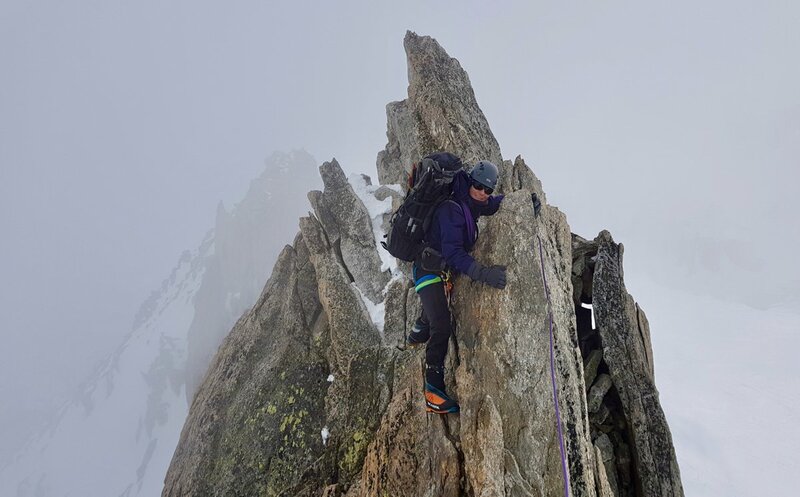 You will have ideally practised the skills of alpinism on a summer course and be already familiar with climbing, rope and equipment techniques. 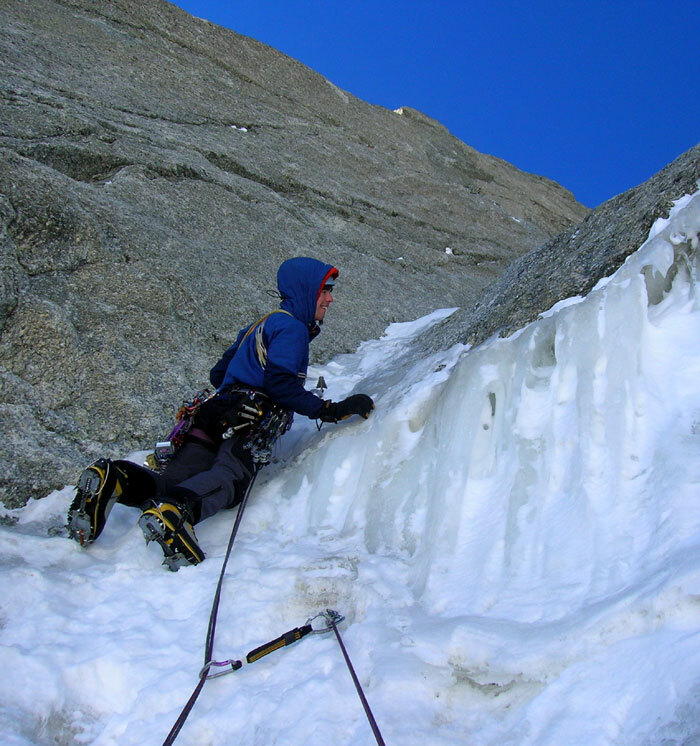 However if these skills are not already in place we can use valley cascades, lower glaciers, mountains and crags and put together a suitable training package. 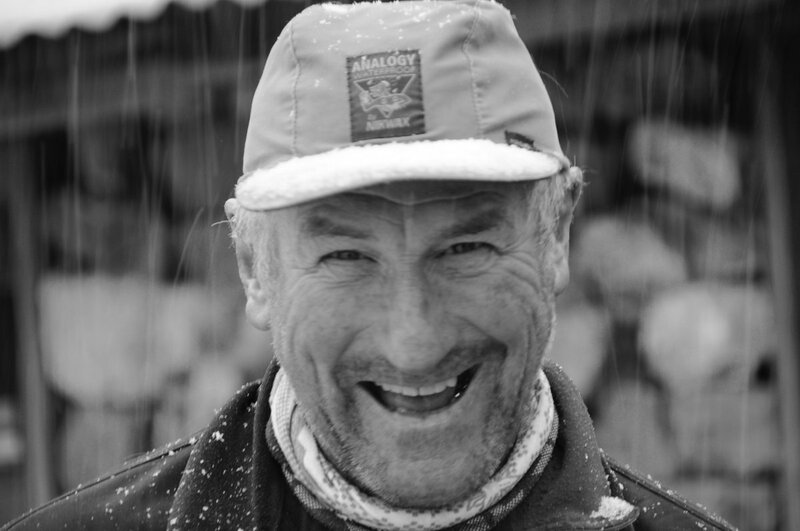 “Thanks for a great week of mountaineering in March 2010. 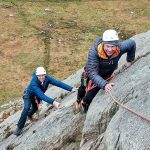 A day of guided climbing in your company is worth many days of regular climbing as you pass on your knowledge in a generous, constructive and helpful way. 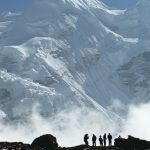 This makes for a great learning experience, especially for those of us who can’t get out as much as we would like due to working and so on, which improves one’s climbing considerably in terms of technical skills, safety, efficiency, knowledge of the mountains and ability to enjoy them while tackling objectives big or small. 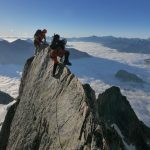 I would recommend this to everyone who shares my enthusiasm for alpine climbing and wants to enjoy and improve themselves. 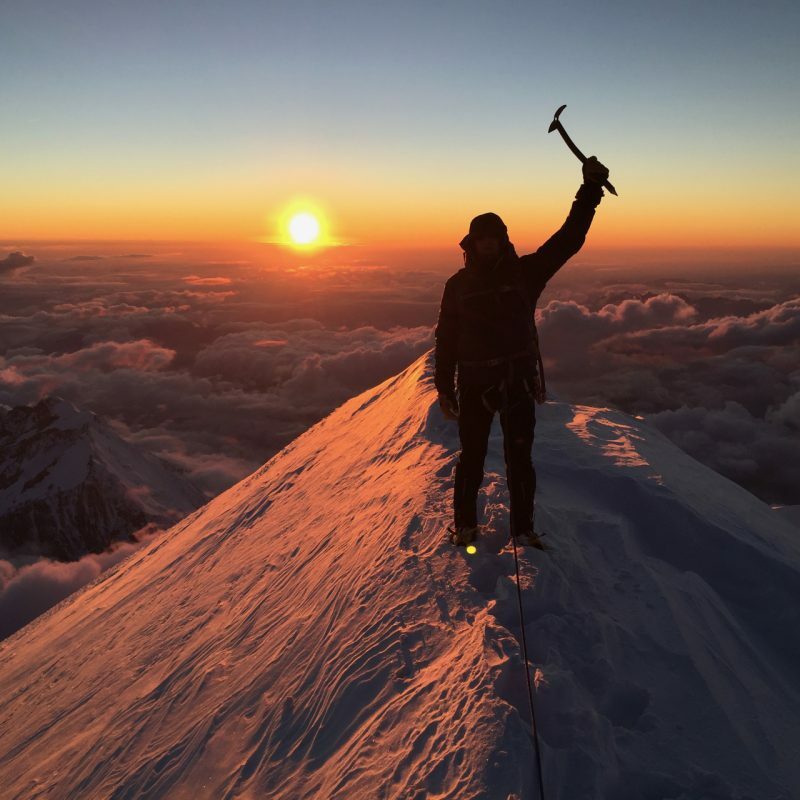 Many thanks for your invaluable help, encouragement and help in ticking off some classic routes – I look forward to more in the future! 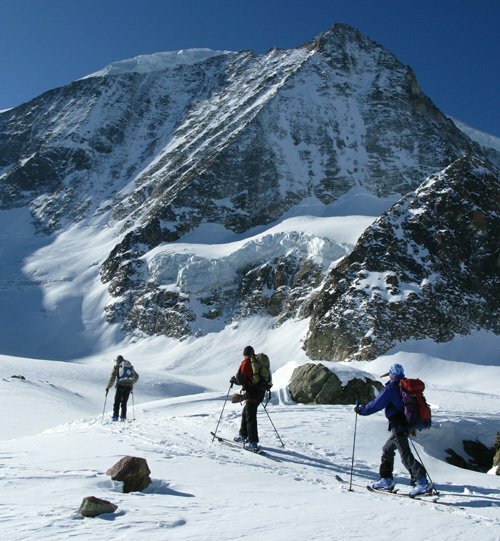 Equipment List, please refer to our alpine mountaineering kit list and be aware that outwith the high summer season you will need warmer boots (e.g your ski boots or La Sportiva Spantiks, Scarpa 6000m or similar), warmer gloves; a warmer duvet jacket and good quality face protection e.g. 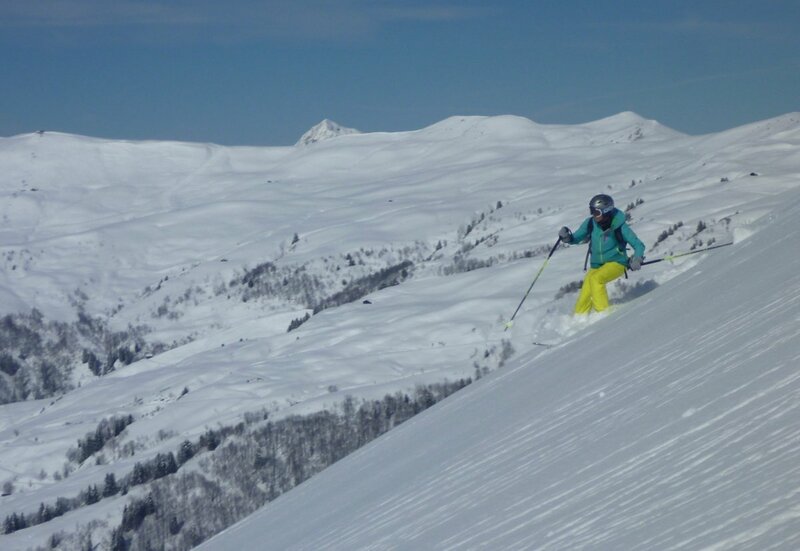 neoprene face mask, buff, goggles, balaclava and good jacket hoods.